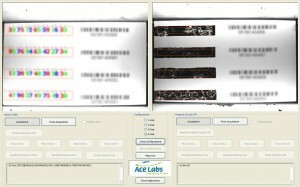 System that can perform optical character recognition (OCR) program that is dedicated to the conversion of an image containing editable digital text with a normal editor, as well as to carry out inspections of scratch-off, small signs containing hidden information. 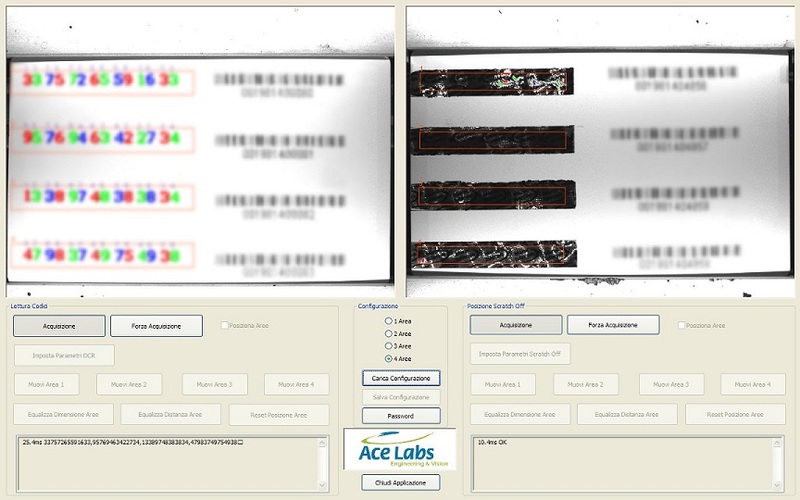 With this system it’s possible to manage the acquisition of images and the position of the search and than modify the analysis parameters that allow you to combine a character if one of the nozzles of the printer is blocked, swell a particularly thin and thin character in bold. To distinguish the characters from what characters are not, using the parameters of minimum area and maximum area in such a way as to circumscribe the area of reading. For each character read is assigned a quality score and a perfectly readable character receives a score of 100. This parameter excluded from reading all of the characters who received a lower score. At the printer controller is sent to an X instead of the character unread.